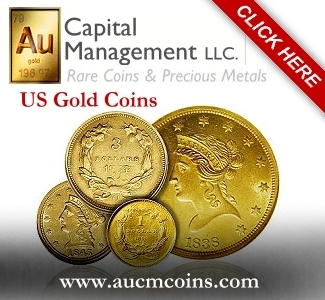 By David Schwager for CoinWeek ….. Visits to my coin dealer friend’s home office are some of my favorite moments in the hobby. But recently, among the many impressive items in his collection and inventory, I noticed a box marked “Low-Value Crap”. I admit I have some LVC (Low-Value Crap) in my house. My collection of world notes with educational themes, most purchased for under $10. The encased penny from a defunct Las Vegas casino. The intriguing but worthless off-brand holder someone gave me to help with my slab research. The check from a local National Bank. Be honest and you probably have some LVC, also. How did we get this stuff? Visited a coin store and bought something small to be polite. A childhood collection that we put aside for years before returning to the hobby. If you’re a wheeler-dealer like some collectors, then you may have bought a collection to get the key pieces and still have the less desirable material. Bought without a plan in our early collecting career before we gained focus. Now that we realize we have coins we no longer want, what do we do with them? 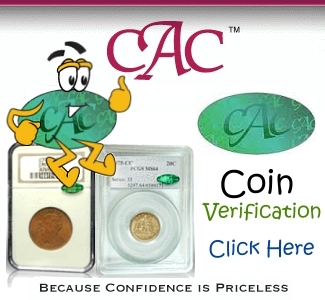 Quality material or common, valuable coins are easy to sell to a dealer or consign to auction. But what do we do with those items worth $20, $10, $5, $1, or even less? What do I do with all this crap? There are at least 11 options, and we’re going to go through several items on this list before getting to selling your collectibles. You bought them for a reason, so maybe you should keep them for the same reason. Crap is in the eye of the beholder. If your chosen field of collecting involves a large but carefully selected group of modest pieces, continue with your chosen plan. 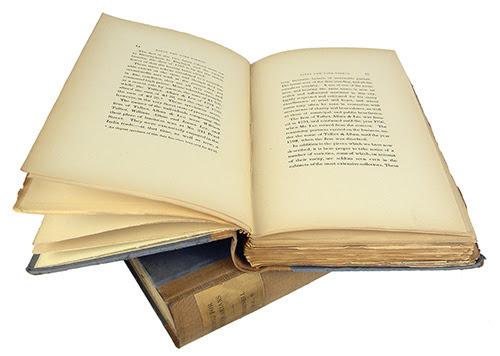 You may also have items with sentimental value, connecting you to times or people important to you. I will always keep the dirt-common circulated 1883 No Cents nickel that was my childhood treasure and the partial set of worn Morgan dollars my grandmother collected from circulation in Idaho. There is no wrong way to collect, provided you continue to learn and grow. Looking at shopgoodwill.com shows hundreds of coins for sale, all donated to this well-known charity and currently at their shops nationwide. Donating is always less work than selling, and you may decide that extracting value for your common-date commemoratives, mint sets, or other hard-to-move items is not worth the trouble. By donating, you get to benefit a charity of your choice. If you itemize tax deductions, you might get a deduction that increases your next tax refund by a percentage of the items’ values. This last factor may be enough to make donating an easy and somewhat profitable choice. Someone close to you may make an even better recipient than a charity. Is there someone who is not a collector, but would find value in a few pieces from your collection? Children are obvious choices, but curious, intelligent adults, especially those with an interest in history and learning, make good options as well. For most people, one well-selected piece makes a better choice than a shoebox full of accumulations. An item with a tie to the receiver’s home city, ancestry, religion, or hobby often makes a good selection. It is more important that the coin is interesting to them (so they will keep it) than its value to you or another knowledgeable collector. That coin could become a cherished memento at little cost to you. For less cherished items, sometimes face value provides the best exit. 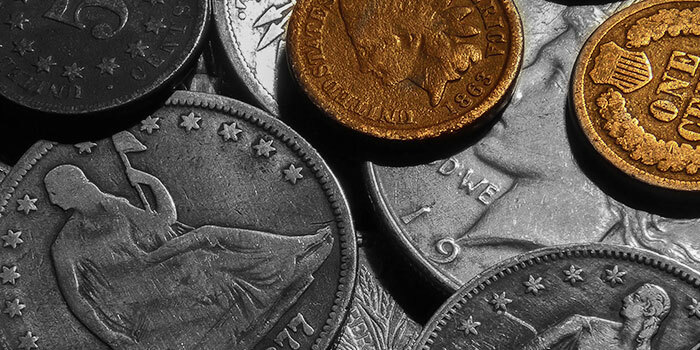 I wrote an article for CoinWeek on this subject that borders on numismatic heresy. State quarter rolls, presidential dollars, worn red seal notes, and other numismatic items have enough face value that returning them to the wild becomes an appealing option. Instead of thinking of this as “ruining” your coins, think of it as giving someone else the thrill of a circulation find. Pulling a tattered 1957 $1 silver certificate or a no-date Buffalo nickel from change will make someone’s day. Remember to include world coins and currency when turning collectibles into spendables. For example, Canadian accumulations can help pay small trip expenses. As another example, a friend was happy when I told him that his 1980s £10 Bank of Scotland note was still legal tender for about $15 on his next trip to Britain. The metal value of collectibles often gives a way to exit your collection while still earning some money. Circulated pre-1965 90% silver US coinage will find a buyer in any coin shop. They will also usually take United States gold and silver commemoratives, silver world coins (either circulating or commemorative), and silver medals (such as the Franklin Mint issues that were once popular) for around their melt value. And don’t forget base metal. Pre-1982 95% copper cents each contain nearly two cents worth of metal. This may provide an exit for the 15,000 copper cents left over from my roll searching days. They cannot legally be melted, but bulk pre-1982 cents readily trade online for near their metal value. If you didn’t much like numbers four and five, then you’ll like this one even less. I once had dinner with a well-known antique book dealer. He told his wife that, if he died suddenly, half of his library should go in the garbage. Although this man possessed rare and valuable volumes, he realized that some of his books had minimal value to anyone else and should be discarded. Trashing actual coins is seldom necessary, but I see plenty of cases, however, where collectors could not give away used coin paraphernalia such as folders, albums, tubes, and auction catalogs. It goes against the collector’s nature to discard something that may have value to someone, but this could save work both for you and for the people around you. Throwing away books seems almost immoral, especially to those of us who love reading and learning. As someone who learned to do so, however, I provide this service to other collectors. At most coin club meetings, someone drops off a box of recent auction catalogs and outdated books. After the members have a chance to take as many as they want, I carry the rest away, dropping them in the dumpster outside my building before going inside. I throw away books for collectors who cannot bear to do it themselves. Finally, we get to the part where we start making money. 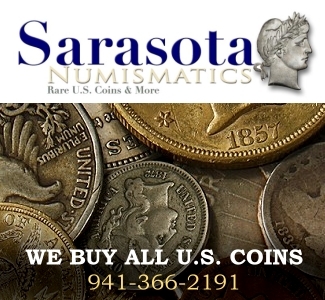 Local coin shops exist to buy coins as much or more than to sell coins. They provide some of the most convenient ways to turn collectibles into money. Admittedly, dealers will want desirable coins more than common, low-value pieces. Nevertheless, anything will sell at the right price, and taking a modest but reasonable cash offer right away can be the most efficient use of your time. Coin shops often have connections with wholesalers, allowing them to buy your items, admittedly at a discount, and quickly resell at a small markup. 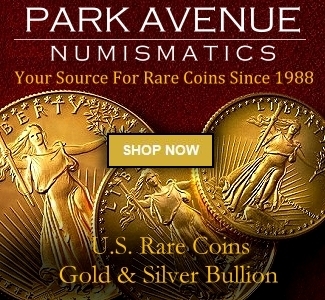 Some coin shops even become wholesalers themselves and run ads in national publications offering to buy bulk Wheat cents, proof Silver Eagles, and other often-seen coins. A good rule of thumb is that coin show dealers buy the same type of material that they sell. A dealer with a case of high-end Morgans wants high-end Morgans, while a dealer with boxes of modest world coins in 2 x 2s wants more of the same. When selling your inexpensive items at a show, look for a dealer who stocks the type of coins you have to sell. Be prepared to accept a significant discount off retail price. The margin as a percentage needs to be higher on a low-value item to make carrying it worth the dealer’s time. A coin that retails for $10,000 might sell to a dealer for $8,000, but a coin that retails for $10 might sell to a dealer for $4. Under the right circumstances, a dealer who handles $10,000 coins might take your low-value crap in trade. 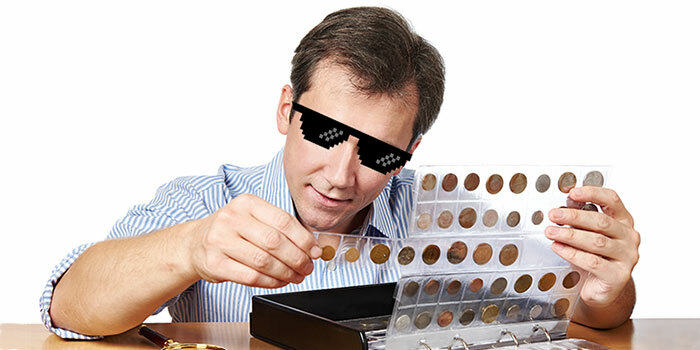 In a recent CoinWeek article, rare-date gold specialist Douglas Winter describes accepting a large accumulation of proof sets and other “stuff” in exchange for “a few really good coins.” This was a one-time favor for an established customer, so only expect to make this type of deal if you know the dealer well or if trading something like junk silver that the dealer can turn into cash the same day. The best reason to go to a local coin club is that it gives you one night per month when people actually want to hear you talk about your coin collection. As another benefit, they provide a way to turn inexpensive numismatic material into cash. Nearly all clubs hold auctions in which members submit lots and the club takes 5% – 10% of the sale price. Some also have bourse nights once or twice a year in which members set up tables and sell to one another. With no or minimal table charges, these mini coin shows can turn a small amount of your collection into cash. Finally, trading coins is one of the main purposes of a coin club and anyone can bring a box or tray to sell. In all three club options, your potential sales are limited by the people, interests, and cash in the room. For these reasons, popular items under $25 tend to do best. Although not as common as they once were, a local coin shop may have a bid board. This is a type of silent auction in which a few hundred coins are attached to cards hanging on hooks in a public area of the store. Some belong to the shop, while others are consignments from customers. Buyers can hold and examine coins and write their bids on the cards throughout the auction, usually one week. At a pre-set time, bidding ends and the high bidder on each card pays for the coin. Some shops use a variation known as a buy board in which customers take coins off the hooks and pay from them immediately at a fixed price. Bid boards become informal coin clubs, with collectors gathering at auction close to buy and discuss. I visit one about once a month to socialize as much as to shop. Try a bid board if there is one near you. For the collector with LVC to sell, these provide a way to turn material into money. The shop owners usually charge a few cents each for the cards and around 15% commission on sold items. Unsold coins may go back to the consigner or may go back on the board in a few weeks. If you want a way to move any amount of any type of material, consider selling on eBay. Obscure items with limited local markets find buyers on this global marketplace, while slow-moving collectibles can sell at the right price. If you are willing to put in the work, eBay provides an effective way to turn LVC into cash. That work, however, is the key downside of this option. Pricing, photographing, editing, listing, packaging, and shipping your collectibles takes time. You may want to set a floor and only list items worth at least X dollars to make sure that the rewards are worth your time. Luckily, you can combine low-value items into group lots to receive nearly the same value as individual items with less time spent. Tips and tricks for selling on eBay would be a book in and of itself, but the best way to learn the basics is by doing it. If this method appeals to you, sell one item, consider how you feel about the experience, and decide whether you want to continue. Considering that at least 11 ways exist, what did my dealer friend do with his LVC? Some went to charity, some went to a local coin shop, some went to coin club auctions, some went on a bid board, and others went on eBay. A combination of solutions provides the best answer. With several options from which to choose, think about what you have and pick a few avenues that provide the right balance of financial and emotional satisfaction for you.